Some weeks ago I presented for the first time one of my books outside of Spain; it was here in Tokyo in Aoyama Book Center. It was also the first time that a foreigner presented a book in this bookstore, so they were not sure if many people would come to the event because the book was in English (to tell the truth I was also not sure), but eventually more than 50 people showed up and we had a fun time together. Photography and story-writing lover, and a recognized expert of the Internet, García (Calpe, 1981) devotes a part of his time to share with the rest of the world his “geek” view of the world, a term that, in his case, defines as an “infinite curiosity” to understand and comprehend all thing related to Japan. The computer screen is the window that he uses to narrate all the curiosities of the country, through the digital “ecosystem” formed by his awarded blog, one of the 10 most read blogs in Spain with over one million monthly visits, and his profile in social networks. This computer engineer has complemented his virtual side with his book “A Geek in Japan”, published in Spain in 2008, translated into 5 languages and presented this week in English in Tokyo, his adoption city and main scenario of his work. García explains that his book, a fruit of many years of learning and posts of his blog, is useful to get to know the most interesting places in Japan, but it centers more on the cultural aspects of the country. For Héctor García, the “Japanese mentality” changed with the disaster; he emphasizes the image that has been engraved in his mind: the people in a “silent panic” that, even days after the earthquake, walked crestfallen all over the crowded streets of the city. He confesses that Japan never stops surprising him and that, after having worked in several companies, he has found his place in the Internet industry, more specifically in the technology department of Digital Garage, one of the companies in charge of introducing the social networks Twitter and LinkedIn to Japan. I was also glad to be featured on the website of RTVE, Spain’s main national TV channel; and in the main newspaper of my province (Alicante). Thanks you all very much for your support!! A GEEK IN JAPAN book giveaway! My book A GEEK IN JAPAN will officially go on sale from the 9th of June. The book is a great deal and you can get it for around US$13 dollars on Amazon.com or B&N.com. on their Facebook walls, Twitter or Blogs. The top 10 people who get the most “likes” on their Facebook walls containing a message with a link to my book, or more “retweets” of their tweets, or more “comments” on their blog posts will be chosen as the winners of this giveaway. Anyone living in the USA, Canada, Singapore can participate. The next 9 people with the most likes/retweets/comments will get a copy of my book A GEEK IN JAPAN for free! You have until 15th of June to participate. Please comment on this message if you want to participate and I will follow how many likes you get on your wall post about my book. 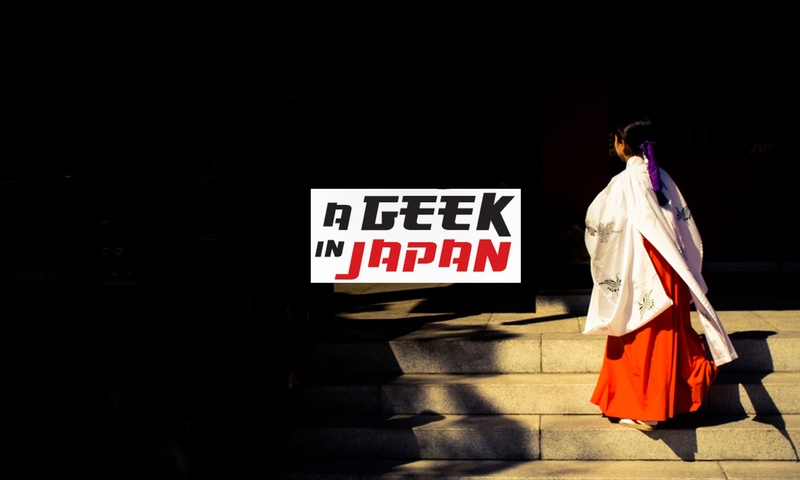 A Geek in Japan – The book, on sale from June 9th! I’m very happy to announce that my book, A Geek in Japan, will be finally available in English from June 9th. A Geek in Japan (Un Geek en Japón in Spanish), whose Spanish version has been on sale since 2008, is a best-seller in Spain and is in its fifth printing. It has been translated into 8 languages and has sold more than 40.000 copies worldwide. 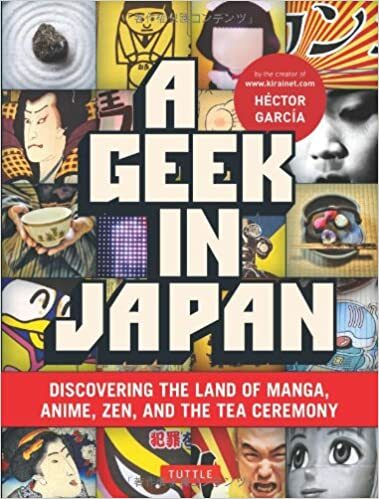 “A Geek in Japan”, the English version, is brought to you by Tuttle Publishing; it is an updated and revised version of the original Spanish book. “A combination of a likeable personality and a highly inquisitive mind have helped Hector penetrate the often difficult-to-understand layers of seemingly contradictory elements that make up modern Japanese culture. As a geek with an eye for aesthetics and photography, Hector is able to explain his findings in a clear and funny way. Hector’s book is one of the funniest and yet very accurate descriptions of modern Japanese culture that I’ve ever seen. The book will be availble in bookstores in English speaking country and also in Japan. If you can’t wait the book is already available for pre-orders on Amazon.com. Thanks to all the readers of this blog and special thanks to all the people commenting, your comments have helped me a lot to learn about Japan and its culture. More information about the contents of the book here.